At TRG Communities we are always looking to create neighborhoods that are not just imaginative but are lifestyle-oriented, retain value, and leave a sustainable impact. At TRG Communities we are committed to using Traditional Neighborhood Design (TND), which is a set of planning principles that are reminiscent of early 20th century villages where children are safe to explore and adults are a short stroll from dynamic public spaces. Contrasted from the conventional neighborhood design that is oriented for the automobile with separate land-uses and low-density. Conventional neighborhood design creates a cookie-cutter, blasé community fabric rather than an inspiring and imaginative environment often seen in a Traditional Neighborhood Design. Some of the core practices of Traditional Neighborhood Design that TRG integrates into each of our communities include, a dedication to curb appeal, mixed-use design, and creation of active public spaces. Reminiscent in our O’Neal Village community is a central park designed for the afternoon family picnic, planned community events, or just playing fetch with Fido. Traditional Neighborhood Design communities create this atmosphere by focusing on the pedestrian as well as the driver. 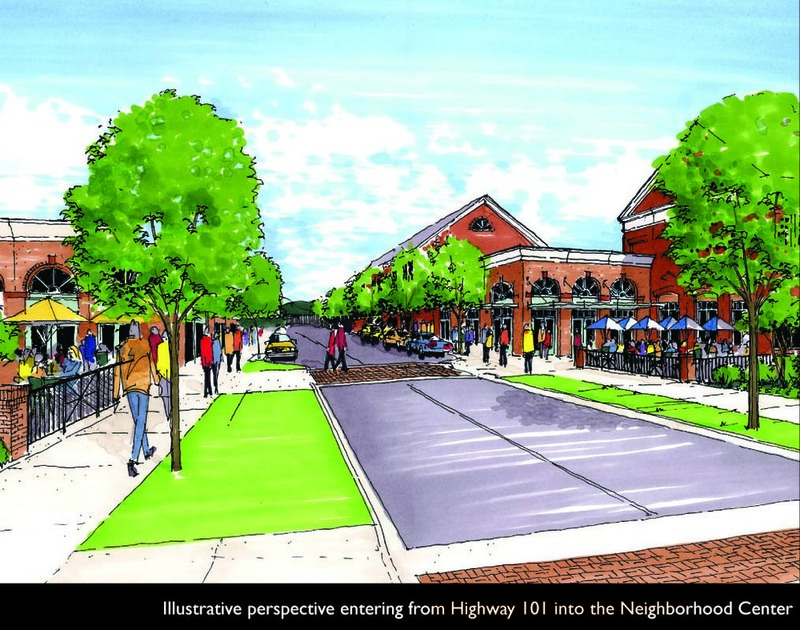 Therefore communities are designed with well-connected streets that are kept at reasonable widths for availability of sidewalks and garages are kept discrete to allow for expansive front porches. A traditional neighborhood design holds distinct advantages when contrasted to a conventional neighborhood design. Each Traditional Neighborhood Design communities retain a stronger economic value. Economic value has shown to be strong and stable in some of our traditional historic communities such as, Denver’s Washington Park, Greenville’s Earle Street, and Atlanta’s Piedmont Park. A study of home sales found that buyers are willing to pay an average of $20,000 more for homes in communities with Traditional Neighborhood Design principles compared to more conventional neighborhood design. Discrete Verdmont Garages behind Homes. In each TRG Community there is a dedication to creating a neighborhood lifestyle that is consistent with traditional neighborhood design. This can be seen in our compact front yards that blend into sprawling central lawns for community kids to play together. 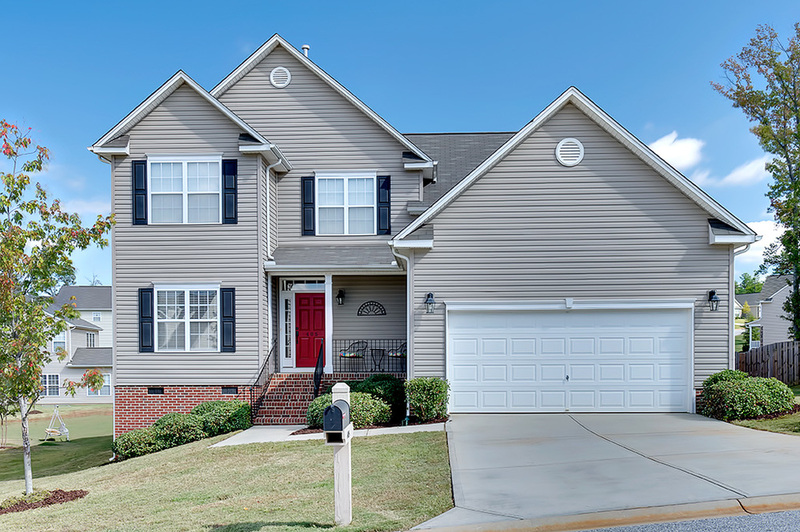 Traditional Neighborhood Design is reminiscent in our low-maintenance home so residents can spend the weekends relaxing. Every community is created with amenities, such as pocket parks, community pools, and great lawns for the active young couple, bustling family, or newly empty nester. Every feature is intentionally designed to not only be practical, but also imaginative to foster a rich and deep sense of place for every resident. Lastly, traditional neighborhood design focuses on creating a sustainable impact, utilizing denser land practices to conserve natural environment for future generations to enjoy. In addition, these communities have efficient and narrow streets to not only cut back traffic speeds for safety, but to have a smaller developmental impact. Traditional neighborhood design communities also promote a lighter carbon footprint, oftentimes promoting walking over driving through mixed-use design and creating a pedestrian-friendly environment. Whether an urban Pendleton West or a master-planned O’Neal Village community, TRG focuses on utilizing traditional neighborhood design that creates value, cultivates a neighborhood lifestyle, and ensures a sustainable impact. Published on August 28, 2013 by Dan Weidenbenner.